Internet Marketing Strategy mends broken hearts and brings couples closer! Internet Marketing and Social Branding have allowed us to extend our means beyond expected “Barriers of Entry” into the World of Business and Industry. In today’s world, barriers simple do not exist, especially when there is a need that out supplies the overall population. If you can fill a void that is in extreme “need of a fixin’” and watch trends in Social Conversation, you will find that any business will take off like wild fire! Take “LOVE” for example. This word is used in about a million-and-one conversations just around the net itself. How many times do people speak on this topic on a regular basis outside of social networks? Through years of providing free advice to those in need,Jessica N. Abraham, already A 24/7 Internet Marketing Consultant, decided to open her phone lines to allow “24/7 Relationship and Dating Advice by Phone.” She started UnbreakMyHeart.me to point the heartbroken and insecure in the direction of her “private telephone and text chat advice line.” UnbreakMyHeart.me’s servicing is powered by Ingenio, who is owned byAT&T and Yellow Pages and was recently acquired by an investment firm in San Francisco. Ingenio is a sister brand of Keen.com, Ether.com and LiveAdvice.com. These sites are all responsible for providing quality service to those in need of consultation, advice and coaching in areas of interest, including Business, Love, Friendship, Industry and more! Through Ingenio, Jessica is able to offer first time callers with three free minutes in order to try her services with no strings attached! Currently, Jessica Abraham holds a strong hold on position through Ingenio’s adviser platform due to quality servicing and holds a 5-star ranking amongst her clientele. Many of these individuals have become regulars. Thus far, she has brought together many happy couples, helped a few people get out and over bad relationships and heartbreaks, brought married couples closer and instilled self-confidence within most of her callers. Need Relationship and Dating Advice? 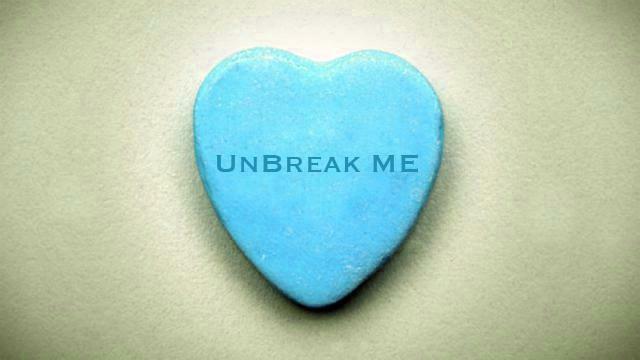 Try UnbreakMyHeart today, and get three free minutes to try the service! This entry was posted in The Vault. | 2003 to 2016 and tagged 2013 August, Brand Story, Business Entities, Free, Giveaway, Ingenio, Internet Marketing News, Jessica N. Abraham, LoveFix.me, Multi-Platform Delivery, Must See, Mz Shorty P, New Releases, Press Release, Relationship Advice, Storytelling, subsidiaries, The Examiner on August 28, 2013 by jessicanabraham. The trend has been used in the past by companies like “Yuwie,” a Social Network, and “Qlique,” a Facebook application with stand-alone gaming site targeting college-aged demographics. While these companies have since retired, the trend has only been more productive as technology has evolved and consumers have become more “Social.” Today, people are looking for the next best way to socialize on the net. Before, they only got Online to check e-mail and use instant messengers for long distance friends and family, since phone carrier prices used to be too expensive to communicate regularly. Mobile applications and “Always On” availability have aided in this process. The ability to type in QWERTY made this process even easier, thanks to Smartphone advances. Instead of paying for traffic and taking advantage of risky “pay-per-click” methods of advertising, businesses are paying their consumers for activity and recruitment of users for legitimate money making opportunities. This will pay off, because content creation can be pricey but aids dramatically in SEO efforts. It is updated daily and organically searched by engines, creating a plethora of opportunity for the brand. With more Brand Loyalists, who are actually using the platform, higher advertising rates can be charged and more traffic will convert to consumers. Conversation heeds conversion. One site that has been doing well through this method of Viral Marketing is Dealspl.us.They actually benefit brands and department stores all over the United States. These brands and stores are featured on the site, and Dealspl.us shares their latest sales, discounts and coupons within their site… well, users that is! Additionally, Dealspl.us will make payment for the posting of these deals. Consumers are encouraged to “Apply to be Money Makers” and share in the earnings of the site. Once they apply, their application will be processed between 24-48 hours. If selected to become a content creator, they will receive twenty five cents a deal post per deal placed on the site. They can post up to ten deals a day and receive credit. This usually takes 20 minutes a day to do, reaping $2.50 a session or $75 a month on the minimum most level. There are plenty of opportunities for bonuses through impressions, clicks, shares, and updates. Even more importantly, there is an opportunity to make $7.50 through listings. Dealspl.us has come up with a plan to accelerate SEO efforts via Listings. Here, users are creating list content that includes searchable information based on specific interests. Searches may include “5 best toy stores online” and whatever else that will engage users in associated stores. Each listing will include a list of department stores and/or brands and a review circulating that brand. Each review can pay up to $1.50 with the total of $7.50 per five reviews (daily limit). The cool thing about listers and content generators is that they are also consumers. So, they browse other lists and are forced to search the net for deals that will suit the interests of the site’s consumer base. Consumer Awareness pays off, because most shoppers end up purchasing that in which they browse. Being that deals are being placed on the site, shoppers find irresistible bargains that they share amongst their immediate friends and family and continue through to purchase on their own accord. While the total activity spent creating content will take about an hour a day and only bring in $10 for that time spent, a minimum of $300 is possible per month. This means that a growing base will continue to improve SEO results and result in conversions for affiliated brands. Money makers are responsible for generating more traffic to the site and bringing in new users via referrals. Each new member has the opportunity to make $300 a month. So, each person bringing in 10 people, generating a matched 10% of those profits, will stand to make $3000 a month! That seems a lot, but when merchandise at checkout equates to 10 times this amount, it is a very small chunk of change that is being rewarded to those who aren’t afraid to take part in these types of activities. Additionally, this under weighs the costs of servicing when paying someone whose Social Network is limited, because this type of marketing comes from a very personal and social level. Which means, these types of programs are truly priceless! There have been all types of Social Share programs springing up in all angles. They have all proven to be a success and a rapid one at that! We will more than likely continue to bring these services to the forefront of our lives and collect a check in doing so. With the economy withering away, it is more than likely that it will be saved via Social Media. Companies like Dealspl.us and LetsBeHonest have a lot to gain from and to be thanked for at this crucial time in our financial history! To become a Dealspl.US Money Maker and make money by copy/pasting deals around the net and/or create listing reviews, click here. If you would like to make money by speaking your mind, click here to become a Let’s Be Honest Generator. This entry was posted in The Vault. | 2003 to 2016 and tagged DealsPl.US, DealsPlus, Free, Independent Contractor, Internet Marketing Blog, Internet Marketing News, July 2013, Must See, New Releases, Press Release, Product Review, The Examiner, Viral Marketing, Work for Us on July 19, 2013 by jessicanabraham.